It is already well established that dogs are truly loyal creatures and man’s best friend. They are incredibly intuitive and majestic creatures. 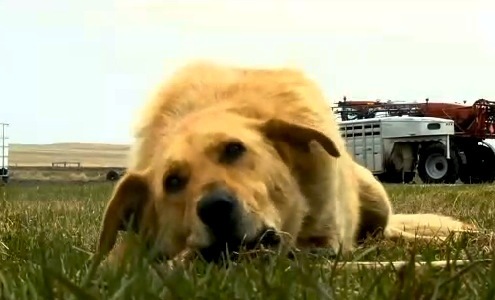 But one North Dakota family credits the family dog with saving their three year-old’s life. 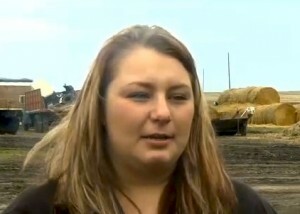 Courtney Urness of Cooperstown, North Dakota, often has her hands full on the family’s farm. With three year-old son Carson and three year-old Cooper, a golden retriever/german shepherd mix, it is rarely ever quiet on the farm. So it was clear that something was terribly wrong when all she heard was silence on Monday evening. Both the child and the dog had went missing. Urness did what any worried mother would do and called for help. Dad Brock and mom Courtney were heartbroken at the thought of abandoning the search. But one volunteer decided to ride his ATV over a hill and do another search. That is when he found Carson and Cooper. The boy and the dog were only a mile from their home. Little Carson came away from the ordeal relatively unscathed, except for a small case of cold feet, according to an emergency room physician. 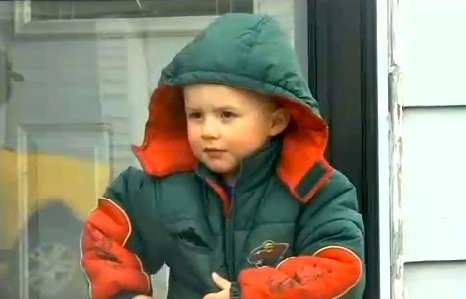 His parents believe that he probably wandered away from the farm while he was outside playing with Cooper.